From Monogram Products. 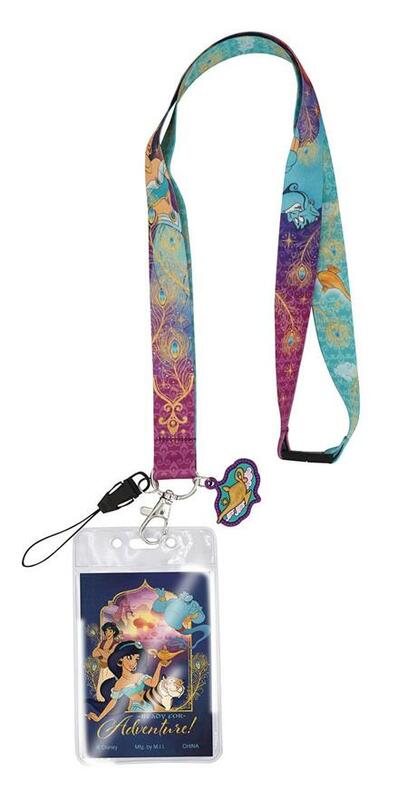 Add some classic Disney flair to your day with these Disney Aladdin lanyards, celebrating the animated classic Aladdin with a printed strap design and a themed charm! Choose from: Full Cast or Jasmine designs.